So, you’ve been delegated the task of spearheading your lab’s redesign project. You’re probably really excited–the old lab is cumbersome and out of date, and it’s fun to think of a new, modern place to come to work every day–but how do you even begin this project? Even if you’re used to working in a lab and around the equipment, it’s a pretty different job to commission the redesign. There are all sorts of things to take into consideration, the most worrisome being the budget. 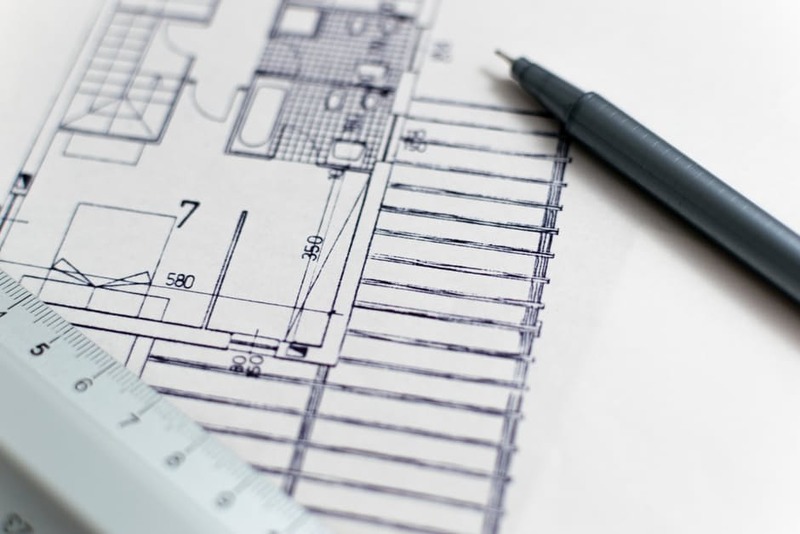 So we hope this blog about the 4 most common laboratory design problems helps you get started! 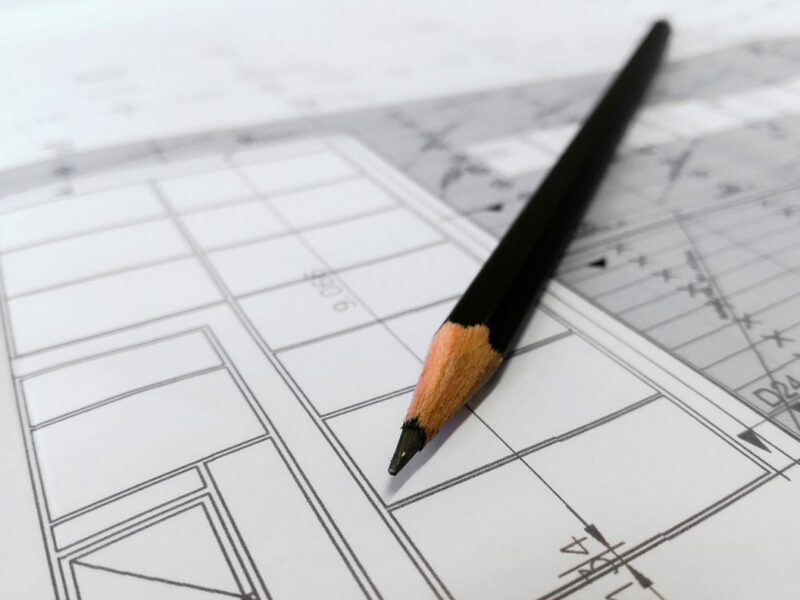 This way, you can aim to correct any existing design problems with your renovation, and in the meantime, we’ll give you a few suggestions on how to make your lab more workable while you wait to get your big renovation approved. One of the biggest issues that many old laboratories have is that they’re inefficiently designed. Sometimes it feels like navigating through a maze just to get to your workstation, and you have to walk past other employees and even interrupt their work, just to get your own job done. Oftentimes, older labs were built with smaller scale operations in mind, and when additional machinery, appliances, and storage was added, it was done so with a “quick fix” mentality. While this was a good idea for the short-term, over time all of those additions just get in your way and clutter up your lab until you can’t complete your job in an efficient manner. When you begin to talk to designers about a newly renovated lab, be sure to consider an open design. A good laboratory services company will be able to provide you with several solutions as to how to open up your lab for the greatest efficiency. Consider how you can best maximize the space you have to create the most efficient lab possible. Can you adjust tables and cabinetry so that employee workstations don’t block common areas like sinks and fume hoods? Would you be able to move machinery to a more convenient location for those employees who use it most? 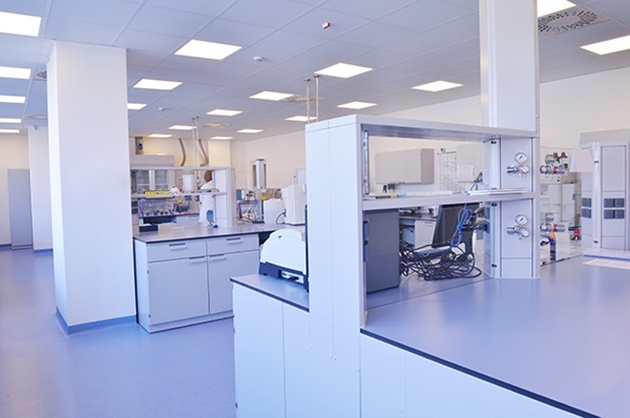 If you don’t have money in the budget to expand your lab, you can still make the most of your redesign by configuring the new lab to maximize space. Minimize dead space – If there’s an area or machine that’s taking up more space than is necessary – it’s aligned at a diagonal, unnecessarily tough to get to, or is blocked off by a workstation – see what you can do to get rid of that. If you can move furniture like tables and cabinetry safely, then grab a coworker and move some things around. The easier it is for you to get around, the more efficient your lab will be. Remove unnecessary furniture – That chair that no one uses? Yeah, take it out. It’s probably more useful in the breakroom anyway. If you have extra tables or storage cabinets that no one needs, it will help you out in a big way to put them somewhere else. Your lab is probably cramped enough as it is. Another major issue with older labs is poor ventilation. In most cases, older labs were built before they had the advanced technology we enjoy today, and can get hot and stuffy a lot quicker than is good for your equipment or your employees. Ventilation is important because 1) most lab machinery requires a certain temperature to perform to its best ability, and 2) Your employees need proper ventilation to ensure they minimize contact with dangerous chemicals or toxins. Proper ventilation functions to keep your lab running at the right temperature and to blow out and disperse any harmful chemicals as quickly as possible. When you start your renovation, you should talk to your lab redesign expert about your heating and cooling system, as this is where the majority of your ventilation comes from. Your heating and cooling system encompass the air ducts where the conditioned air flows, as well as the exhaust pipes that direct used, old, and contaminated air outside of the building. Your heating and cooling system has to be inspected to ensure that none of that dangerous exhaust is directed to the rest of the building, instead of outdoors. While this is an expensive upgrade, it’s one that you’ll have to include in the budget if your inspector finds an issue. Open the windows – If you’re having minor problems with a stuffy lab, it won’t hurt to open some windows. Note that you’ll have to read up on code if you’re using large amounts of chemicals, or any especially harmful substances. But if you’re using substances that are relatively harmless, cracking open a window or two will ensure that you and your machines stay comfortable. Keep using the fume hood – It’s common in older labs for employees to start moving their processes away from the fume hood if it’s become too small to use efficiently. For the sake of your employees and your lab ventilation, it’s really important that this does not happen. While you’re waiting for your lab redesign, ensure that all processes that require a fume hood are still done under the fume hood. Even if it takes them a little longer to complete, fume hoods ensure your employees are not exposed to dangerous or toxic chemicals, and they keep your lab as well ventilated as possible for the time being. Older labs almost always fail to remain up to code. 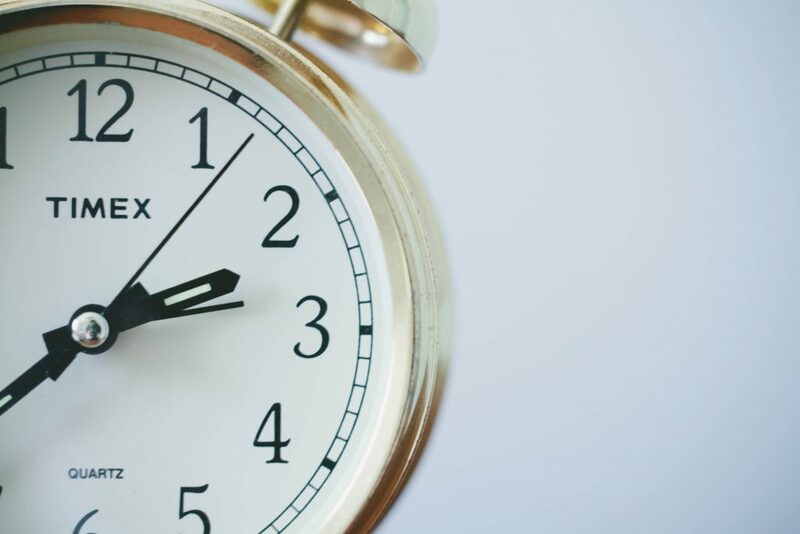 The simple fact is that code requirements can change as often as every year, and it’s practically impossible to keep up with that if your lab is older. Usually it’s okay if your lab is slightly outdated, but you’ll be required to meet code standards when you complete a lab renovation. Depending on the age of your lab, this can mean a lot of changes. Typically the most important and often most difficult to meet for older labs is fire code. This places restrictions on how many employees you can have in the lab based on its size, and it mandates that you have a certain amount of quick fire exit routes. This should be one of your biggest concerns while redesigning, and it’s a good idea to talk to your lab redesign professional to make sure you’ve taken all updated code requirements into account. Also note that you may also need additional safety equipment, like eyewash stations and emergency showers. You’ll have to consider how much space each of these requirements will take up when you’re planning your redesign. Stay Safe – While you’re waiting for your lab redesign to go through, make sure you warn all employees of the dangers, as well as the areas where your lab is out of date. Employees should know how best to stay safe and should practice proper safety measures at all times. The best way to ensure that your lab and your employees are as safe as possible is to maintain and follow proper procedure, clean-up, and care at all times. Practice Fire Escape Route – Another good safety best practice is to ensure that all employees are aware of fire escape routes, and have run through the fire escape plan at least once. This plan will likely change after your renovation, but for the time being it’s important that a proper plan is set in place in the event that a fire does break out while you’re waiting for your renovation. Another common issue with lab design is outdated technology. Older labs tend to have older machines, which can be larger and more inefficient. Additionally, older machines and technology may not function as well as your lab’s application requires. It’s important to assess which machines you can live with and which need to be updated to ensure your lab functions to it’s best ability. Then, if you have room in the budget, you can consider replacing older machines that still work, but could use an upgrade. You probably already know which machines are essential to the daily functions of your lab, and which aren’t quite as important. It might also be helpful to talk to your lab renovation expert for advice on the most cost-effective ways to upgrade to the technology you need, and safely get rid of the machines that aren’t working for you anymore. They’ll also be able to advise you on the proper space requirements for each machine to ensure they’re running at the right temperature and have proper ventilation. Calibrate often – If you’re waiting for a new machine, make sure you’re calibrating the existing machine often. One of the biggest issues with older machines, like incubators and refrigerators, is that they don’t hold a consistent temperature or their thermometer doesn’t accurately record temperature. If this is the case, more frequent calibration is good a temporary fix, and placing a new thermometer in the machine in question can help ensure you’re meeting your standards. Employees can read it every day or so, and adjust the temperature of the machine accordingly. Check for rentals – If you simply can’t get by without a machine before you complete your renovation, there is the possibility to rent one while you wait. This way you get a top-of-the-line machine that performs exactly as you want it to, without having to buy it. If renting doesn’t seem like the best idea, there’s always the option to purchase a used machine that functions well enough. This is a cheaper way to make sure your lab stays up and running and, after you finish the renovation, you can always sell the used machine or keep it as a backup in case your new machine needs repairs or maintenance. We hope this list of the top 4 most common laboratory design problems helps you get started on your own lab redesign. Commissioning a renovation isn’t always easy, and you probably have a lot of questions. If you’d like to learn more about how to effectively redesign your new or renovated laboratory, check out Multi-Lab’s comprehensive Laboratory Redesign Guide! In it, you’ll learn how to get started, what specific considerations you’ll need to take into account, and how to watch out for major issues. Follow the link below to for your free download! If you have any more questions about your laboratory redesign, or if you’re having problems with your current lab design project, give the experts at Multi-Lab a call at 616-846-6990!